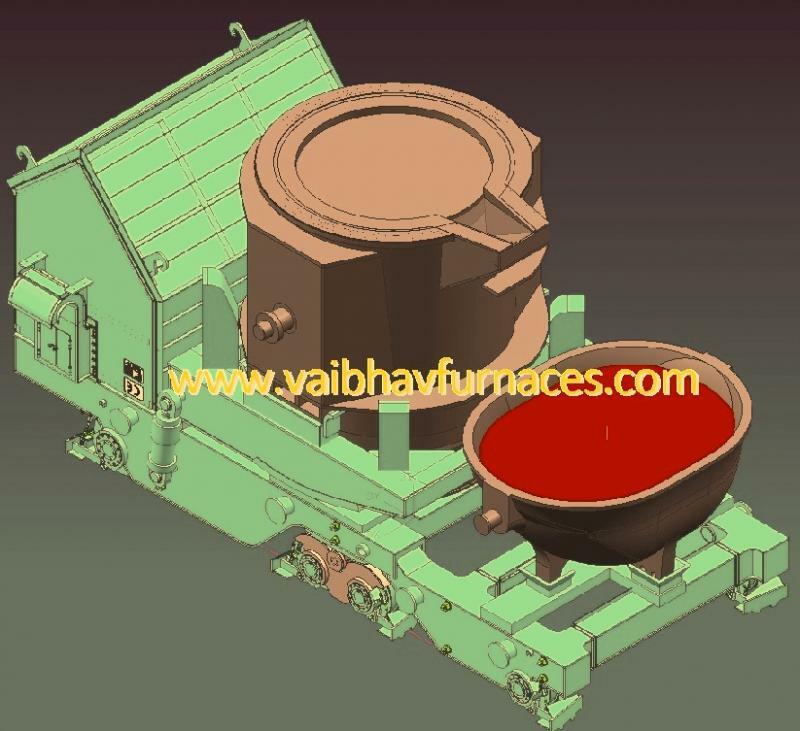 "PHOSPHOROUS REDUCTION FROM INDUCTION FURNACES MELT "
"VMSPL INDIA" have found a solution for this nagging problem - Use Synthetic Slag, Tiltable Type Ladle Car & Ladle Furnace. We Design a Tillable Type Ladle Car. With the help this CAR , PHOSPHOROUS BEARING SLAG can be raked out to the SLAG POT on the CAR. The Ladle Car is taken to the Ladle Furnace Station for Alloy Addition and Sulphur Removal. Also Ladle Furnace Station is used for any further PHOSPHOROUS REMOVAL. Ladle Furnace is also adding as a buffer for sequence casting. For Phosphorous removal SYNTHETIC SLAG & LIME is added during TAPPING & the slag is skimmed of at 1550 Deg.C.